India is annoyed, very annoyed with the UK, or so it seems, if we go by certain new developments. Recently our PM, Mr. Narendra Modi, did not put his signature on a Memorandum of Understanding (MoU), on the return of the alleged unlawful Indian immigrants, in a last-minute decision sometime back, to protest the UK’s decision to bar Indian students from gaining from easier UK Visa rules. India is also reportedly pissed off with the UK, for not extraditing some well-known fugitive criminals from India, such as Vijay Mallya, presently lodged in the country, despite India making several appeals to the British Government to deport them. Yes, the presence of the most wanted people, like Mallya who are presently enjoying the hospitality of the British Government much to the chagrin of New Delhi has certainly not helped the cause of the Indo-British relations lately. 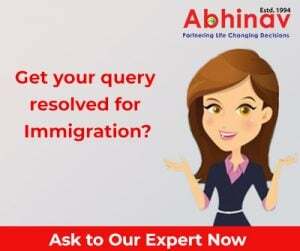 Now the decision of the British Government to keep India out of the updated list of the nations qualified for easier UK Student Visas, while failing to deport fugitives, threatens to seriously impact the bilateral links with New Delhi further even as India is likely to engage further with the continental Europe, on the subject of migration in view of this. The observers on the subject are rightly claiming that London’s decision on the Indian Student Visas will seriously harm the cause of the UK as other nations in the European Union (EU) will get the finest of the Indian talent. As mentioned in the opening paragraph, while on a recent trip to the UK, the Indian Premier Mr. Modi had refused to ink a MoU, on the return of the alleged unlawful Indian immigrants, in a last-minute decision associated with London declining to offer the Indians relaxed UK Visa rules already obtainable to the Chinese. Allegedly, London, it appears, favors the criminals and the most wanted even as its visa rules reveal its upturned main concerns. Hitherto, London has deported just one of the 28 fugitives whose removal India has reportedly wanted. According to a concerned person, the decision of the UK Government to keep India out from the list of the preferred nations, whose students would gain from a restructured British visa procedure, has surprised him completely and left him wondering as to what the UK was up to. Reportedly, the list is component of the UK Home Office’s latest immigration steps made public recently. Sharing his thoughts on the subject, he reportedly added that he was stunned to see that India was not made a part of the list of nations, adding he believe the act is a new assault on India. The timing of the proclamation by London is categorically surprising against the backdrop of the fact that the UK India Week is just round the corner, he further said. Given talks between New Delhi and London on a post-Brexit free trade agreement the decision on Student Visas was a short-sighted approach, he continued. Championing the cause of India further, he also reportedly added that London requires bringing back the two-year post-study Work Visa, to allow the global students to offer their professional services in the overseas hotspot, after doing their graduation, so that they could make money and take care of their expenses involving education, and also get valuable experience in the process. As per the available information, while the figure of the Indian students in Britain has dropped by over 50% during the preceding six years to 16,000, the UK’s economic rival Canada presently has 100,000 Indian students. Criticizing the move by London, another concerned person reportedly stated that easing of the Tier 4 Student Visa rules for the students from some specific nations including China & Thailand will demoralize the students from India, keen to enroll for different study courses in the UK. Yet another detractor of the move echoed a somewhat similar feeling when he reportedly proclaimed that not including India in the list of the nations for which the UK will have comparatively easier Student Visa laws is a BIG offense to the huge figure of the likely Indian aspirants to the different universities of the UK. In a related development, the head of the UK’s Liberal Democrat party, Vince Cable, has, reportedly, criticized the British PM Theresa May for her inflexible stand on the subject, and her inflexibility for the Indian student Visa controversy, claiming the latest move is a “retrograde step” that may not do any good to the bilateral relations. He stressed that the administration will have to become flexible on the subject even as it’s the British PM’s stiffness which is mirrored in the declaration. He pointed out that it’s an extremely backward step to exclude India from the nations that would gain from a more generous visa rule even as it shows the government’s sustained fascination with immigration as a problem. Significantly, Cable had canvassed for students to be left out of the government’s yearly migration goals. While talking about the decision of London to link the decision to exclude India out of the list of 25 nations including China, from where students may gain from a more reorganized university application procedure with the subject of the prohibited migrants from India he reportedly added that accusations that India and guests have exploited the system is a massive barricade in the path of having some type of a special trade association. In case it continues to be the main theme with London’s association with New Delhi, then the chances of obtaining some kind of special treaty are small, he further stated reportedly. In yet another attack on London for its latest move, YK Sinha the in-office Indian High Commissioner to the UK also raised a BIG question mark on the link between freer movement of students and experts with London’s assertion that presently the UK has close-to 100,000 prohibited migrants. Stressing that it is crucial not to focus a great deal on the subject of visas & immigration, he went on to add that though it’s a vital feature, it’s surely not the only essential point in the Indian-UK association. He continued that when one talks about freer movement of people, he is not talking about the unobstructed movement of individuals. Allegedly, his observations come in the aftermath of the incumbent British secretary of state for international trade stating that easier UK Student Visa rules continue to be part of the continuing dialogues with New Delhi over taking back its unlawful migrants.